Everyone likes to have facts, figures and statistics at their fingertips. 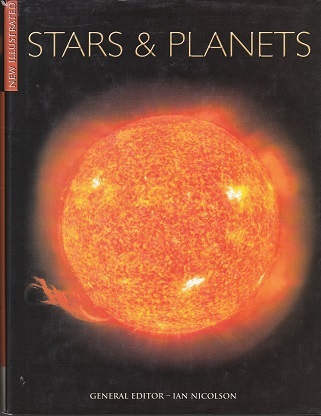 Gathered here in one volume is everything you want to know about stars and planets. Every aspect of our exploration, discovery and codification of the Universe is covered in the comprehensive and accessible A-Z entries, with extensive cross-references to other related information. Stars & Planets is an indispensable guide for information addicts everywhere, taking you on a journey from the first Apollo flights to the most recent Hubble Telescope photos of deep space. Accompanied by images from NASA and many of the major space observatories around the world, this enthralling new book contains over 300 images and illustrations to explain even the most complex of concepts. Perfect for the home library with its no-nonsense approach, Stars & Planets describes everything from space stations to black holes and from Redshift to Alpha Centauri, to give a complete picture of our Universe to beginners and serious stargazers alike.